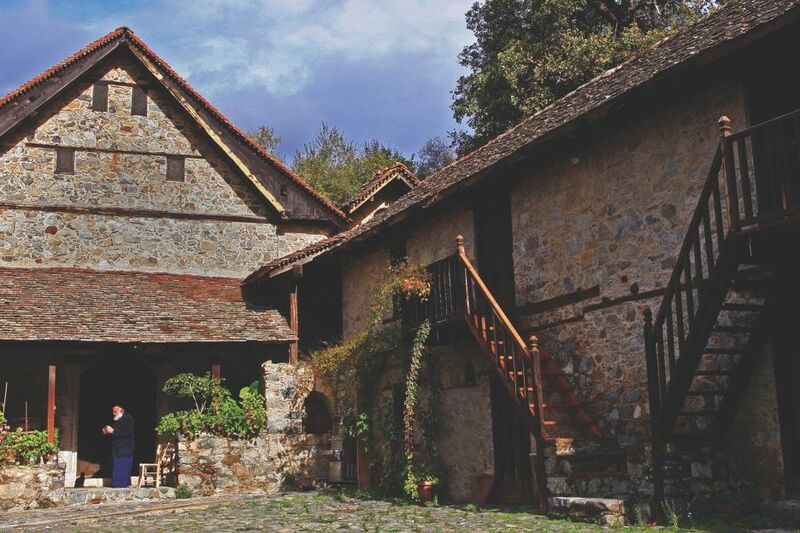 St John Lambadistis Monastery, just across the river from Casale Panayiotis, is in fact three churches all under one roof and protected as a UNESCO World Heritage site. The oldest of the three, the church of Agios Irakleidios was built in the 11th century. In the 12th century the chapel of Agios Ioannis Lambadistis was added to it and finally, during the second half of the 15th century a vaulted chapel was added to the northern side, which became known as the 'Latin chapel' because it is thought it was built for Catholics during the Venetian rule in Cyprus. You might end up spending all day admiring the many unique and beautiful frescoes that cover the churches from floor to ceiling and have been carefully preserved to this day. From the 13th Century are vivid depictions of Jesus's Entry into Jerusalem, the Resurrection of Lazarus, the Crucifixion and the Ascension of Jesus. Don’t’ forget to look up into the dome to see the stunning Christ Pantocrator. As you walk through the space towards the Latin chapel, you will see that the style of the frescoes changes radically. The frescoes here are more characteristic of the Venetian Renaissance and heavily influenced by Italian painting during the 15th Century. Mr John Papadouris, the owner and founder of Casale Panayiotis, can remember gazing up at the wall paintings as a child – specifically the ones representing the Akathis hymn. There is a painting for every stanza. He says he would get lost in the stories they told - the paintings of the horses full of motion and the wise men, so grand and full of mystery on their travels. The second ‘church’ – dedicated to St John Lampadistis, also continues to draw religious pilgrims from around the world, as it houses a relic of the saint. His story is quite a sad one. As a young man, his parents decided it was time to find him a nice girl from a nearby village to settle down with. John, however, had other ideas, and wanted to devote himself to God. His future in-laws, horrified when he refused the marriage, decided to poison him, turning him blind. John died twelve years later, having spent his short life constantly in prayer at the monastery. After he was buried, people said they saw light beaming from his grave and that he cured them. These days, people leave items below his relic in the hope that the saint will perform miracles on them too and help them. Should you wish to say a prayer yourself, there are plenty of candles near the entrance to light, and feel free to chat to the priest or one of the monks on duty.